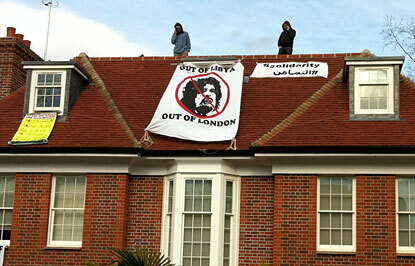 A group called “Topple the Tyrants” have taken over Saif al-Islam Gaddafi’s home in Hampstead Garden, north London. The group is not Libyan, but sympatheticÂ to the Free Libya struggle to oust Gaddafi. Out of Libya! Out of London!